She was beautiful & intelligent... She was wise and determined to take action... She prevented disaster from happening to good people... She set a great example for those around her... She was ABIGAIL, wife of Nabal. 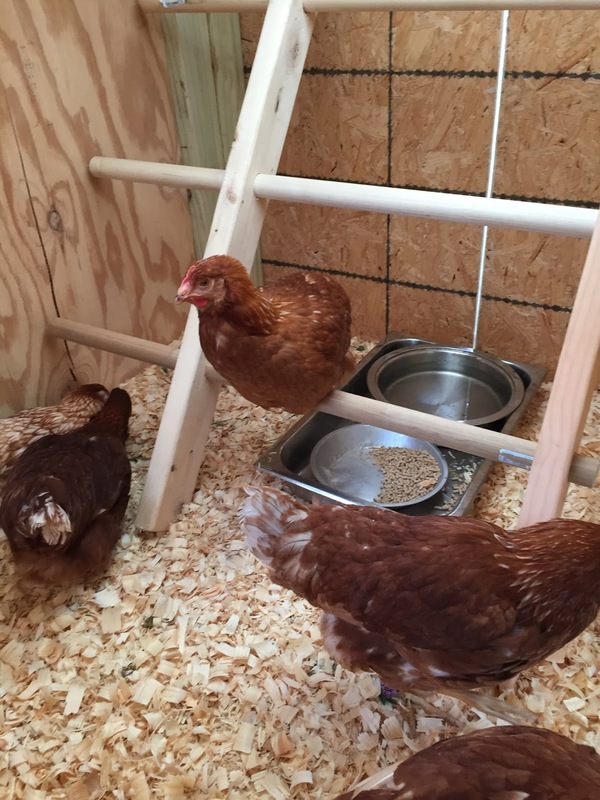 As some of you know, we became "backyard chicken" owners in the spring of 2015. We got 5 pullets (female chickens under the age of 1) when they were about 14 weeks old. Over the past 18+ months our 3.5 acre yard has become their home. I'd been advised by a friend who had grown up with chickens that I would be surprised by how much individual personality they exhibited. And... I was surprised. I'd decided early on that I wanted to name the girls based upon their personalities & actions. So, I began observing them. While others tried to name them things like "Big Booty Judy", my mind was set upon using women's names from the Bible. I thought this could be a great lesson in the years to come for our then 2 year old "Little" one. A few names came to mind - as I was more familiar with their stories in the Bible. I consulted with my favorite female scholar & sister friend, Aunt Kimmy, for confirmation of my thoughts & additional name recommendations. I took notes of our conversation that day as we sat beside the cement pond. I still have those notes. As the weeks went by, the first one to be named was Abigail. She was the first to allow the Little to pick her up. She was the first to jump on top of their "Spa". 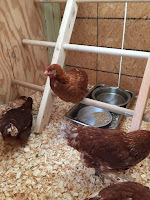 She was the first to investigate the perches I'd made inside their chicken run. She was the first to lead them back to the run and into the chicken coop at dusk. She was the first of many things. She was beautiful -- with 3 dominant white feathers at the base of each wing. The others seemed to put her in a place of leadership. She would often call out for them when a hawk was heard screeching in the distance. 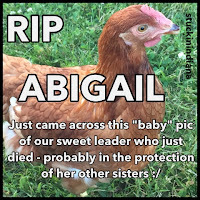 We lost our Abigail to a predator the day before Thanksgiving. I was a bit surprised at how emotional I was over it. It was pretty traumatic seeing what that animal did to her. However, my sadness went deeper than that. I, an educated and most-of-the-time rational adult, had begun to see those chickens as more than mere wild animals. Abigail ("whose father is joy") definitely belongs in the study of great women of the Bible. She is the one (in our study) whom most people are less likely to know. Scripture presents her as a beautiful, intelligent woman whose lot in life is one of being married to a rich fool. 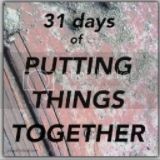 Abigail reveals how wisdom and determined action need to partner in order to save good people from disaster. 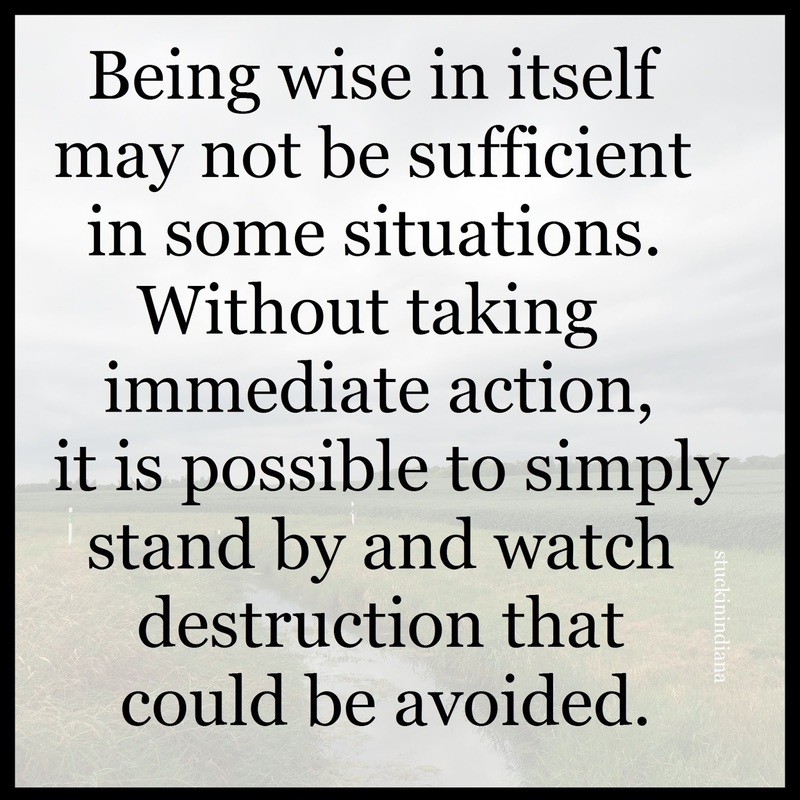 Being wise in itself may not be sufficient in some situations. 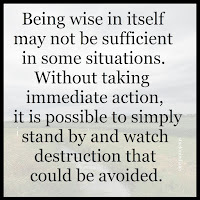 Without taking immediate action, it is possible to simply stand by and watch destruction that could be avoided. Abigail was a woman of good understanding, and of a beautiful countenance. She was both beautiful and intelligent. Except for her intervention, the obliteration of her husband and his household would surely have been the result. She stood in the gap protecting both parties. Her decisive action allowed life to continue. She seized the information given, understood what needed to be done, and then did it. 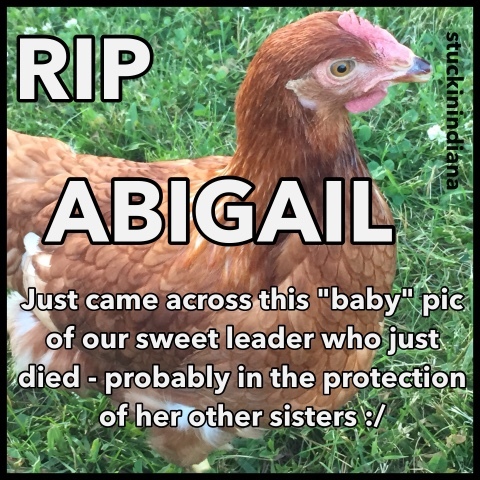 It appears that our Abigail lost her life in protecting the other 4 hens - who hid up in the branches of a thicket until I came calling for them. Although the outcome of our Abigail and the Abigail in the Old Testament are different, I see so many similarities between them. I am thankful that I felt led to name her ABIGAIL! 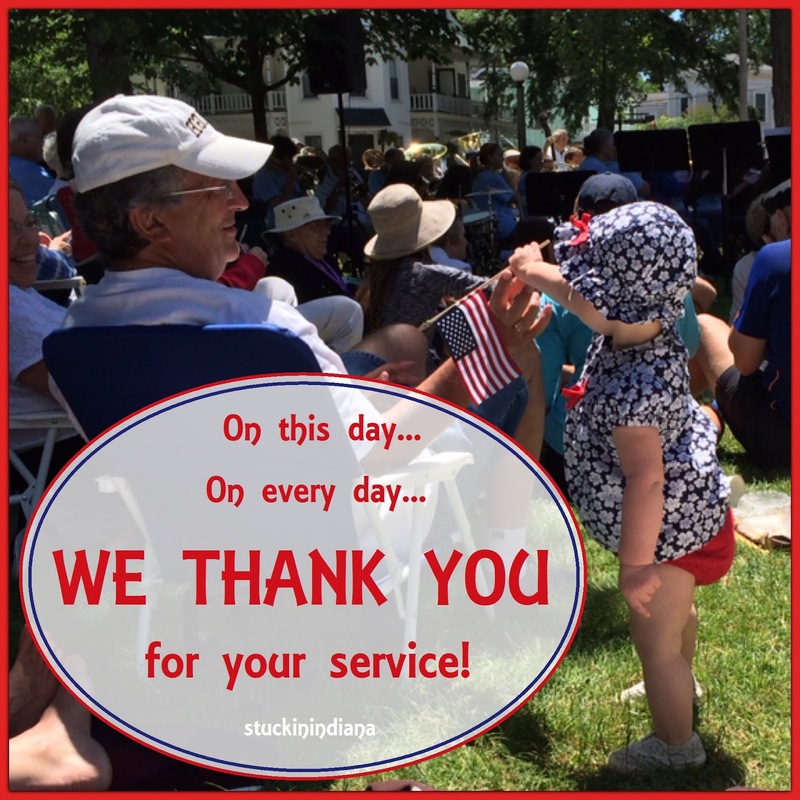 On this day... on every day... WE THANK YOU for your service! There are many great things about our country. There are many things that we need to continue to work on in our country. YET, we cannot forget or fail to honor the men & women who are no longer in active duty and those who currently serve in the Armed Forces. I appreciate the men & women who made sacrifices for, not only a better country, but for a better world. In addition, a debt of gratitude is owed to the parents, spouses, siblings, children & loved ones who have sacrificed so that their loved one could serve. Veterans Day is specifically set aside to honor those who are no longer in active service. Many gave their lives. Many have gone unnoticed. Our veterans modeled a love and a life that has influenced future generations to step forward and take the mantle upon their shoulders. When In Doubt... Do or Don't? 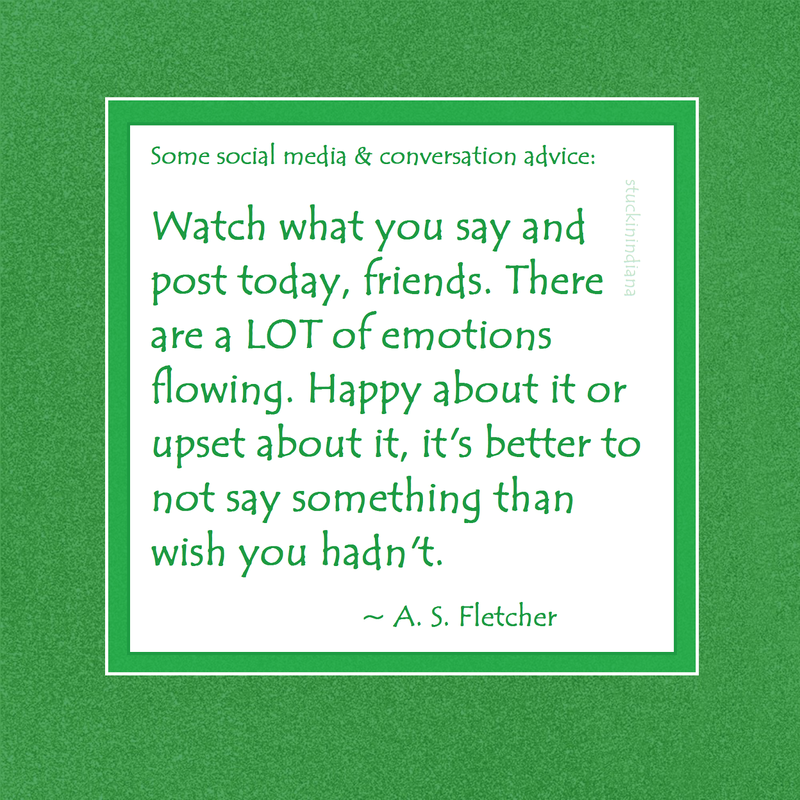 "Watch what you say and post today, friends. There are a LOT of emotions flowing. 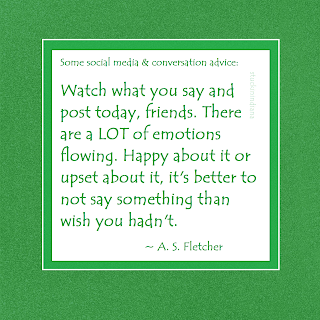 it's better to not say something than wish you hadn't." It's great advice for every day really. 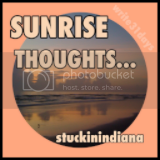 If we could just hold our tongues until our heads & hearts got to weigh in and pair up with our words, how much smoother would life go? "If you can't say something good, don't say anything at all." A great reminder was given to me again this morning through the words of a friend! Those words resonated with the very core of my being. And... when I see or hear words that resonate with me in a strong way, I share them... that's just what I do!